With fierce competition and prospects who seem to flop between overwhelm and distraction, outshining (not outspending) the competition becomes mandatory if you’re going to thrive in the marketplace. The same goes for your customers, who are feeling the same pressure to wow prospects without breaking the bank. How do you do that in print? Industry experts point us to UV coating, citing the following five benefits of UV coating systems for print finishers. These days, both print clients and their prospects expect (demand, even) a high-gloss finish to their print materials and packaging. As it turns out, slick print finishing is no longer a luxury exclusive to those with deep pockets: Even the little guy running a business out of his basement wants to impress his prospects with shiny, vibrant materials. To get this shine, not only do you need the machine to coat the material, but you need a good uv coating fluid to get the result. More than just a pretty finish, UV coating is also practical and easy on the wallet. That’s because its no-dry time allows for lightning-fast turnaround and decreased manpower. In the age of “I need this yesterday,” it’s an ideal solution for last-minute orders and challenging deadlines. How’s that for a competitive advantage? Can a sweet deal to your pocketbook be as sweet to the environment? It turns out UV coating and green printing go together like bees and honey. Newer UV materials are safe to workers and not carcinogenic. Unlike solvent-based coatings, UV coatings are less flammable and do not release volatile compounds into the atmosphere. Its fast, no-heat drying ability requires less energy. Who wants to invest in fancy-schmancy finishing that gets beaten to a pulp by the time it reaches its intended recipients? Not the folks paying you money, I can tell you that much. 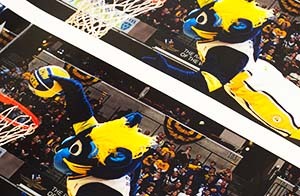 While there are other scratch resistance methods for print products, UV coating may offer the best versatility and ROI. What does that mean for you? Satisfied customers coming back for more. Even with knock’em-dead finishing, your customer’s needs don’t end with paper products. Rather, they want the same top-notch, low-cost solutions for banners, point-of-purchase displays, chotchkies, and beyond. Lucky for you, the versatility of UV coating allows you to branch out into plastics and vinyl. Let me put it this way: More product options = More profits. 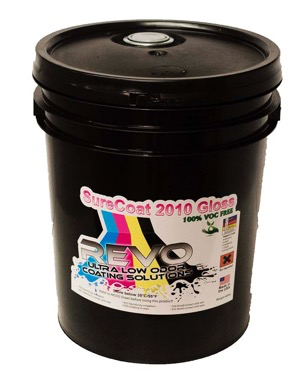 Combining high luster, high value and green printing, UV coating is one sure way for you and your clients to outshine the competition. Literally.